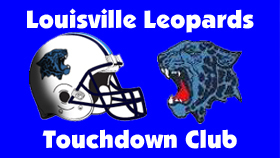 The Louisville Leopards Bowling Team hosted the Garaway Pirates this past Wednesday in their second match of the year at Eastbury Bowling Center. The Louisville Boys defeated Garaway 2076-1735 to earn their first win in team history and improve to 1-1 on the season. The Lady Leopards fell to the Lady Pirates in their matchup 1960-1698 to drop to 0-2 on the season. Chase Barstow was the Leopards top bowler in rolling a 156 in his first game and a team record 217 in his second game. Thomas Warner opened with a 180 and tallied a 147 in his second line. Brady Christy also rolled a 175 and a 145 to round out Louisville’s top individual performers. The Lady Leopards were led by Chloe Sprout who shot a 165 in her first round and a team-high 169 in her second round. Carleen Fouts also shot 137 and 119, and Alivia Hein finished with scores of 120 and 92. The Louisville Girls JV Team earned a 1387-1350 victory over Garaway. Dani Carden was the match’s high bowler with scores of 133 and 137.